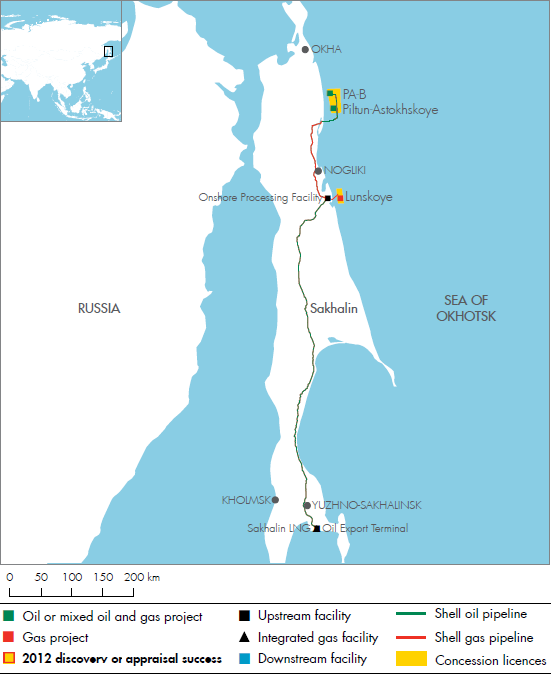 We have a 27.5% interest in Sakhalin-2, one of the world’s largest integrated oil and gas projects. 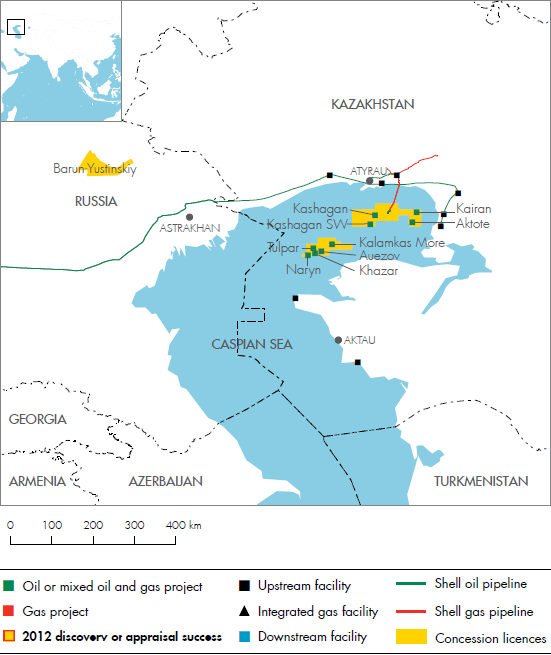 Located in a subarctic environment, the project produced approximately 335 thousand boe/d in 2012. Following optimisation of the LNG plant, production from its two trains exceeded 10 mtpa for the year. 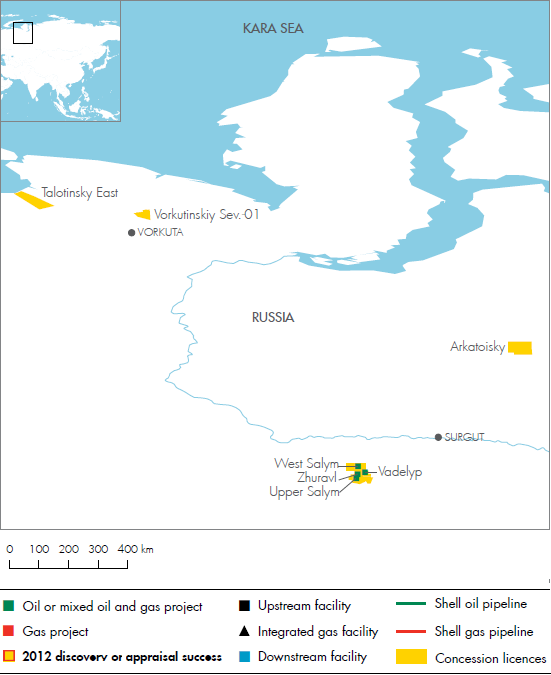 We have a 50% interest in the Salym fields in western Siberia, where production was approximately 155 thousand boe/d during 2012. We also have a 100% interest in four exploration and production licences. They are for the East Talotinskiy area in the Nenets Autonomous District, the Barun-Yustinsky block in Kalmykia and the Arkatoitsky and the Lenzitsky blocks in the Yamalo Nenets Autonomous District. We also have an exploration licence in the North-Vorkutinsky area in the Komi Republic.